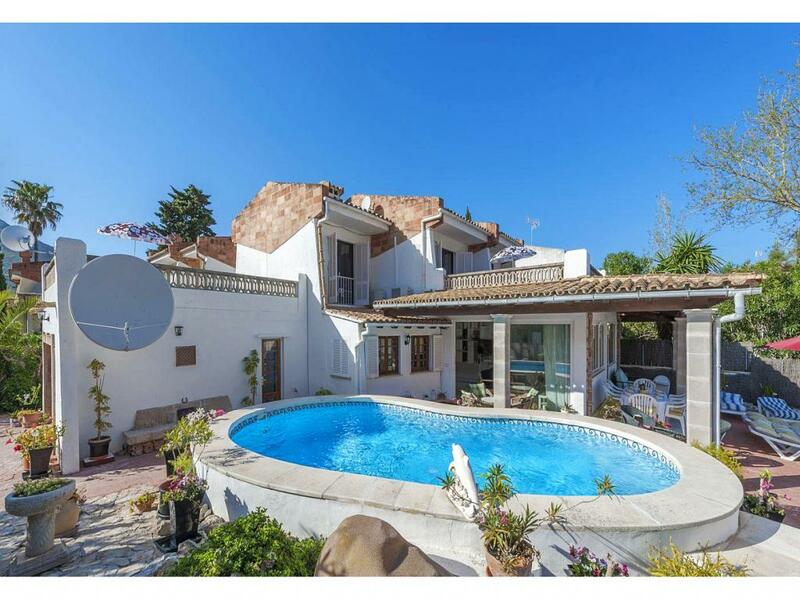 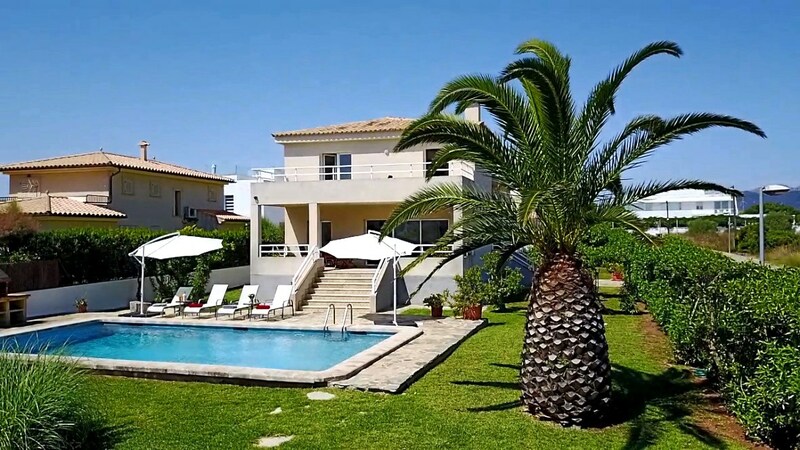 3 Bedroom, 2 Bathroom Villa with Sea View and a Private Swimming Pool , Air Conditioning, WiFi, Table Tennis, Satellite TV, near Golf, Sleeps a maximum of 6 people. 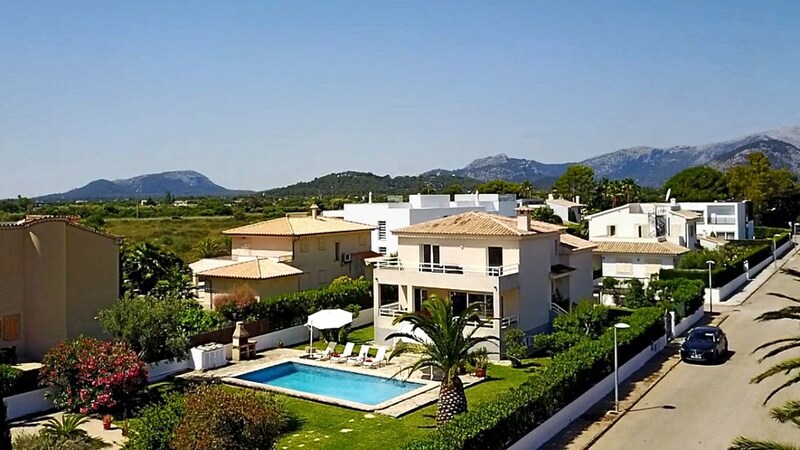 Llenaire Seven is a fantastic family holiday villa just a short walk from the beach and amenities in Puerto Pollensa, north Mallorca. 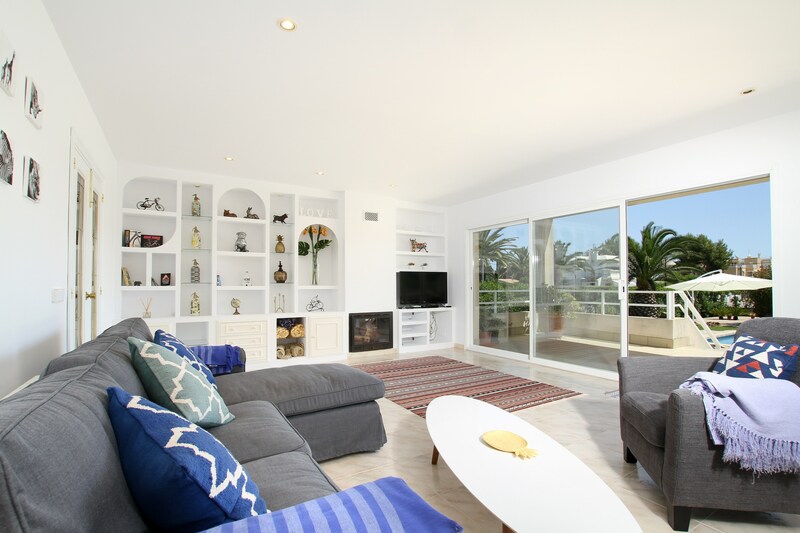 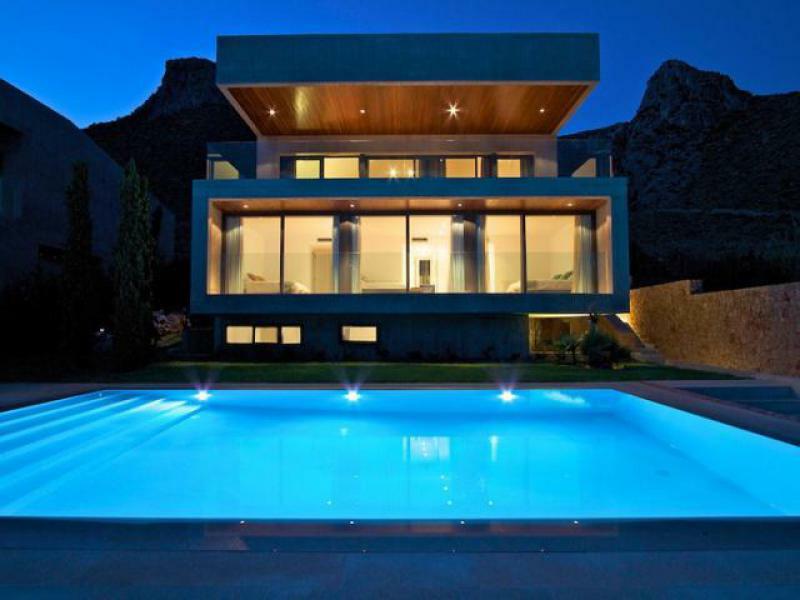 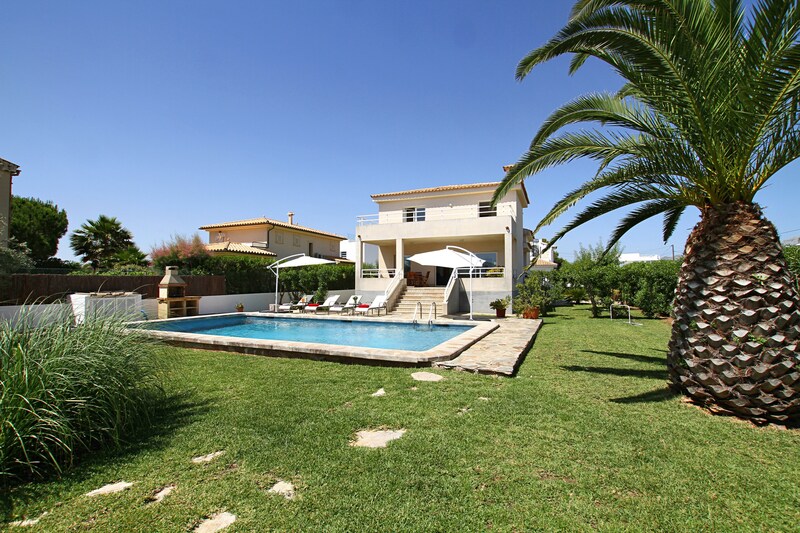 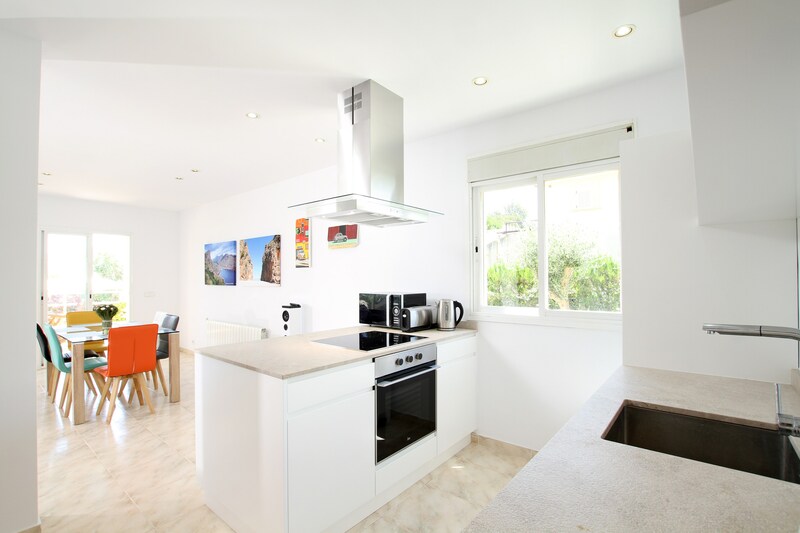 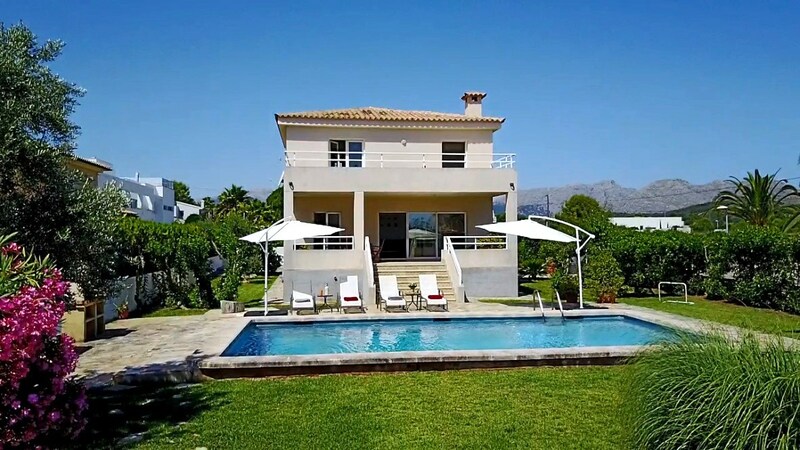 This bright and airy villa is just what you want for your holiday in Mallorca; come in through the front door into the hall and you can either head upstairs to the bedrooms or straight through to the open plan living area which incorporates a large lounge with a comfy settee and arm chair, there`s a flatscreen TV with Apple TV too. 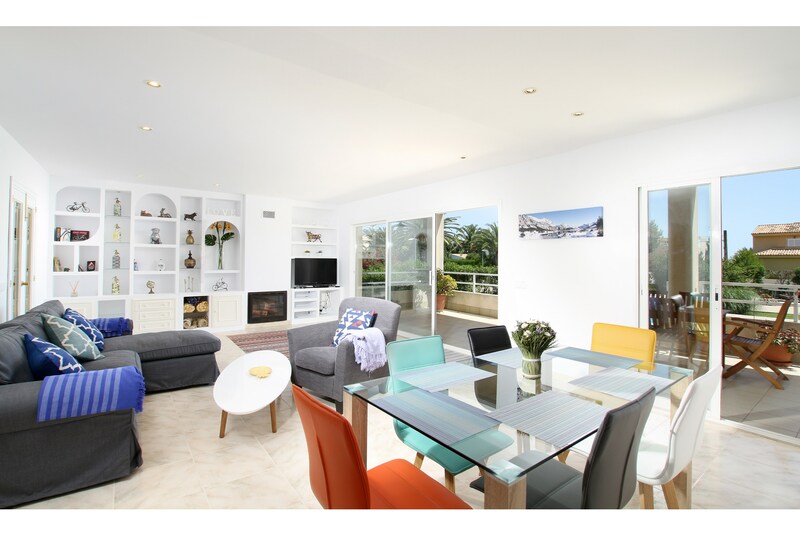 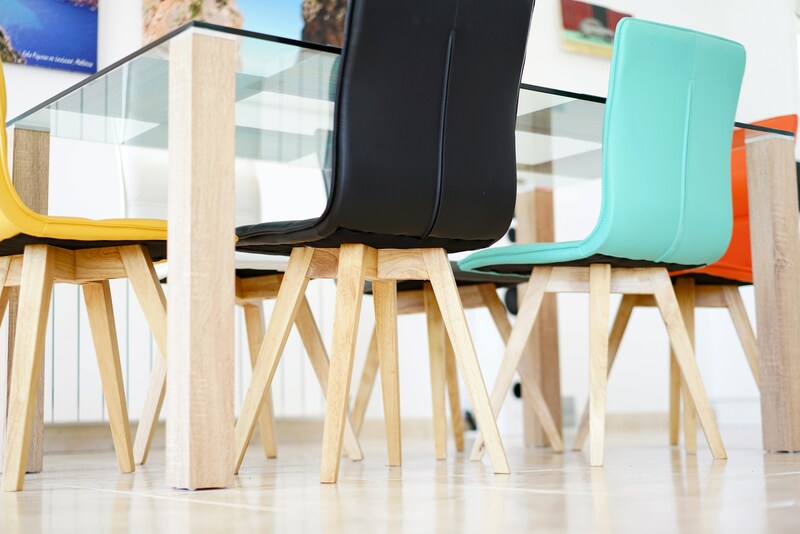 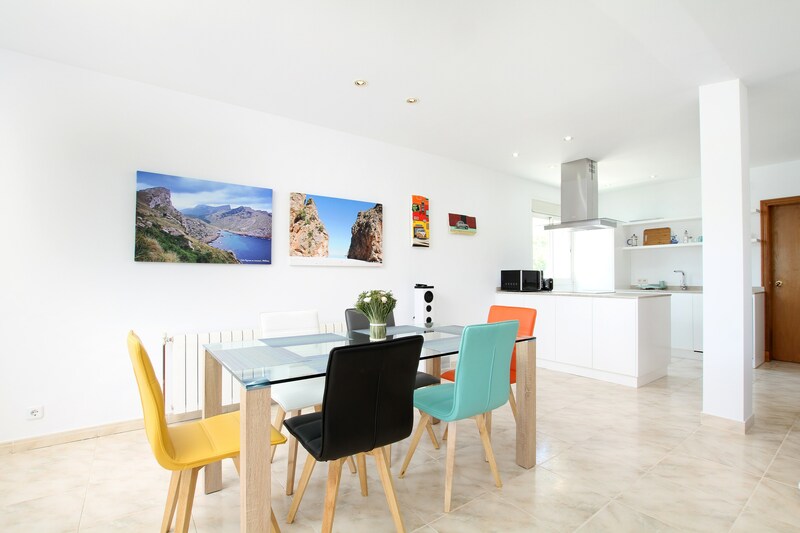 Adjacent you`ll find the contemporary dining area with a large table for 6, and then the compact yet comprehensive kitchen which includes an oven, hob, microwave, toaster, kettle, dishwasher and backs on to the utility room. 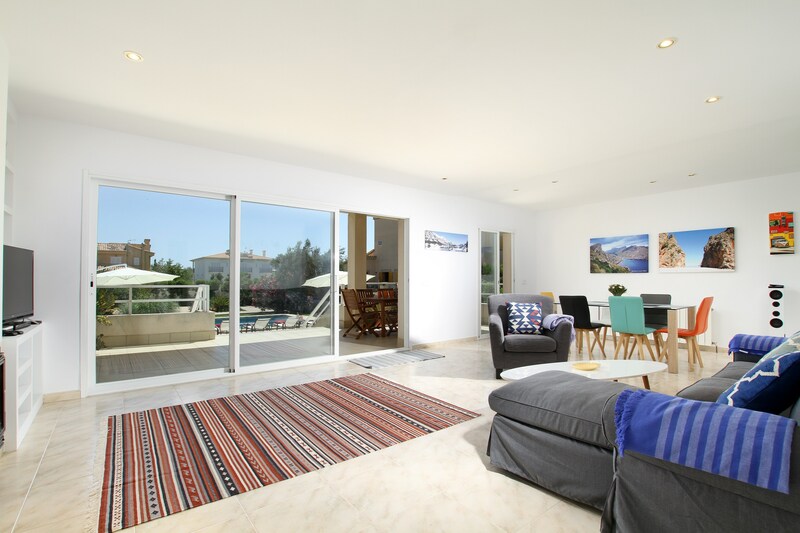 This open plan space opens up onto a covered terrace outdoors with outdoor dining furniture for 6, and plenty of shade for when you need to give your tan a break! 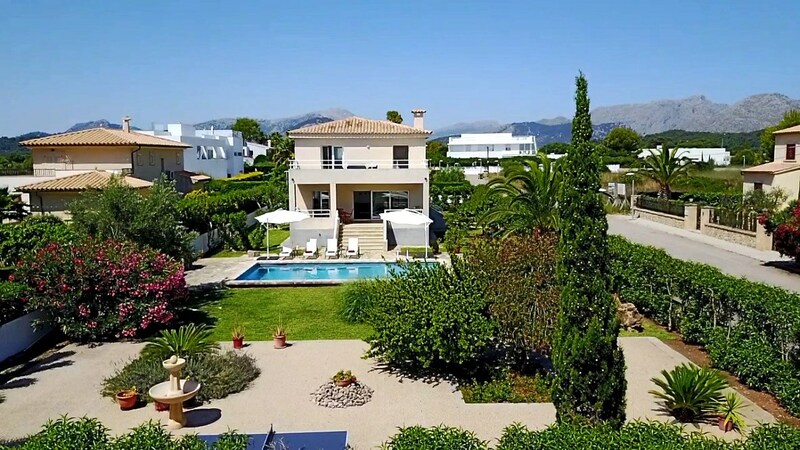 Head down the steps to the garden and you won`t be disappointed - there`s plenty of lawn for kids to play on and even a goal for lawn games or waterpolo in the swimming pool. 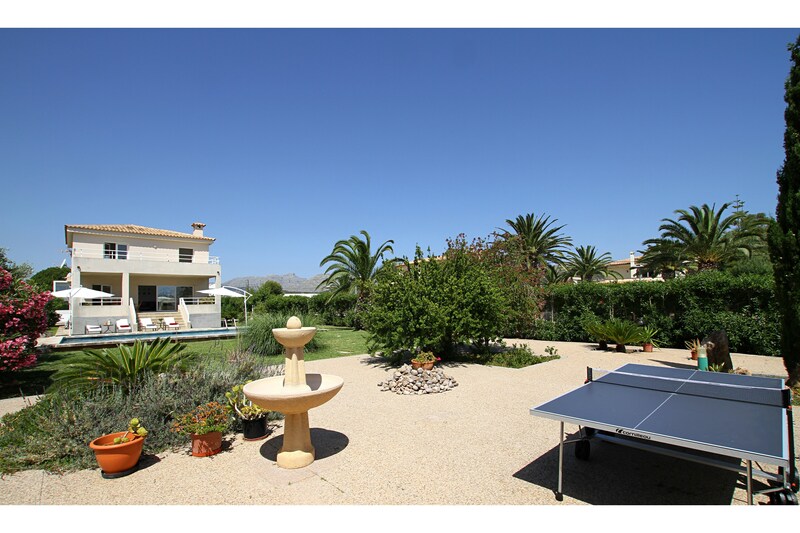 Further down the garden is a paved area with a table tennis table - plenty of choice for competitive guests. 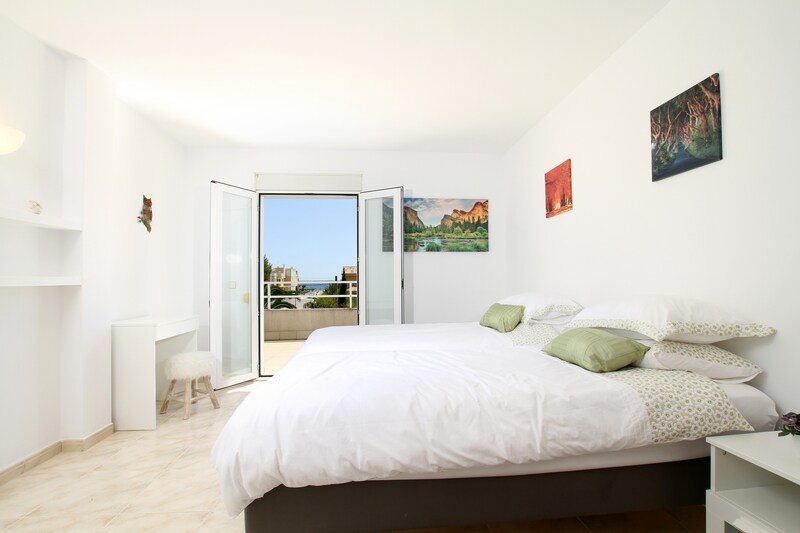 Llenaire Seven`s bedrooms comprise of two twin suites (two single beds) sharing a family bathroom with a combined tub and shower, and the master bedroom with a large double bed and en suite bathroom. 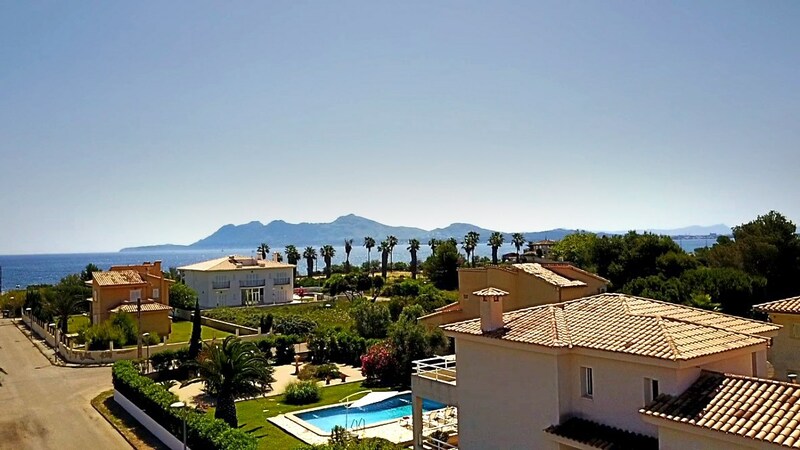 Both the master suite and one of the twin bedrooms share a large balcony with outdoor lounge furniture, and enjoy sea views down to the Bay of Pollensa. 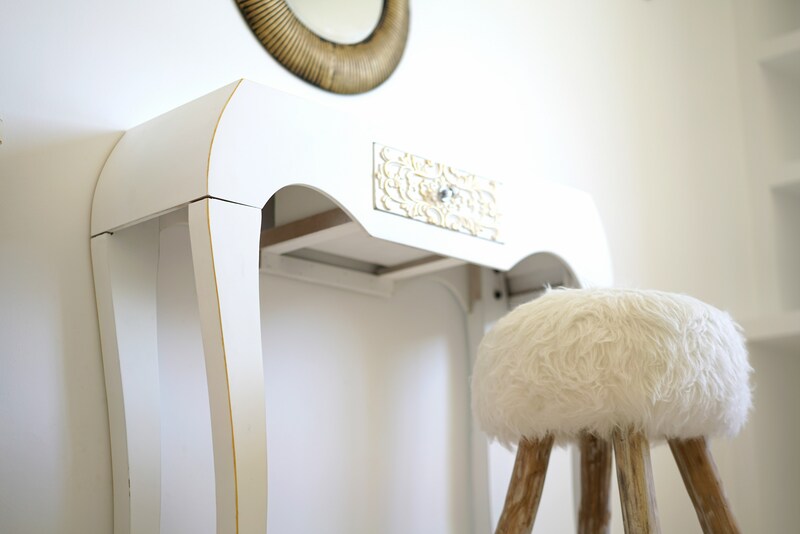 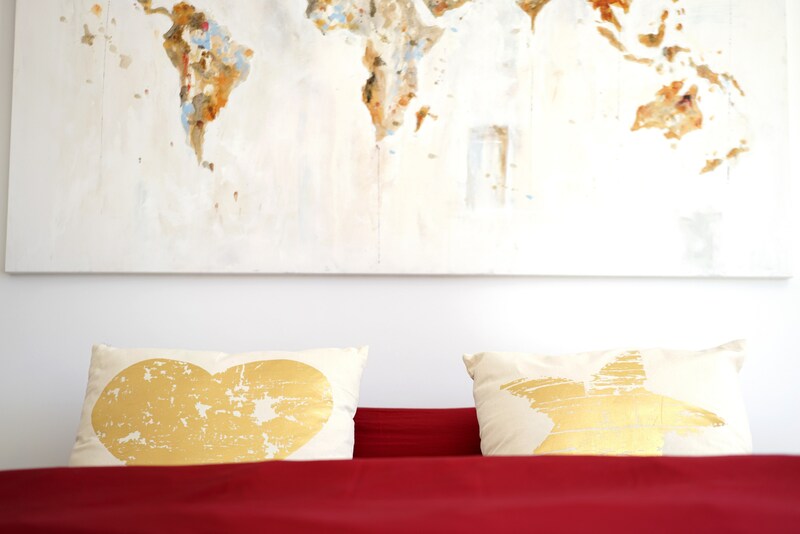 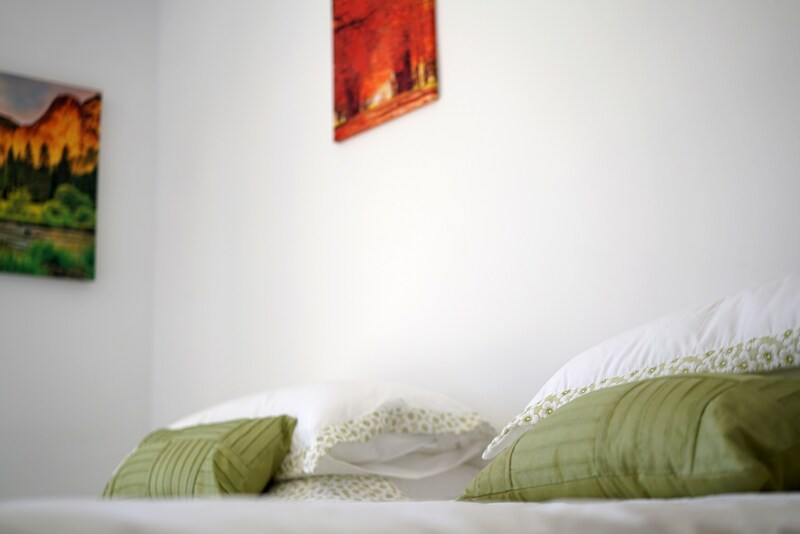 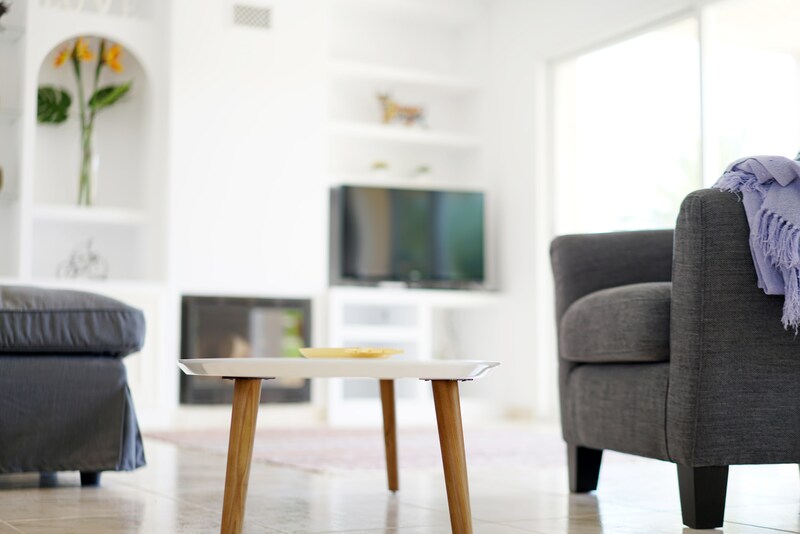 All bedrooms benefit from air conditioning. 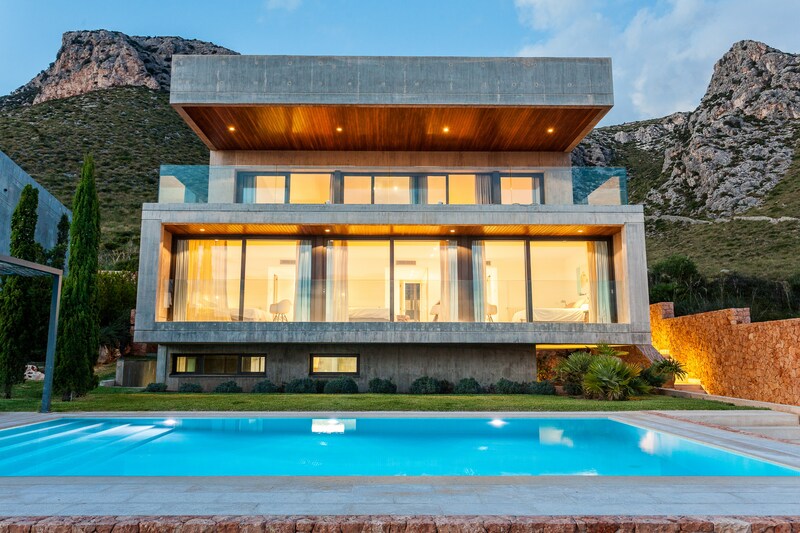 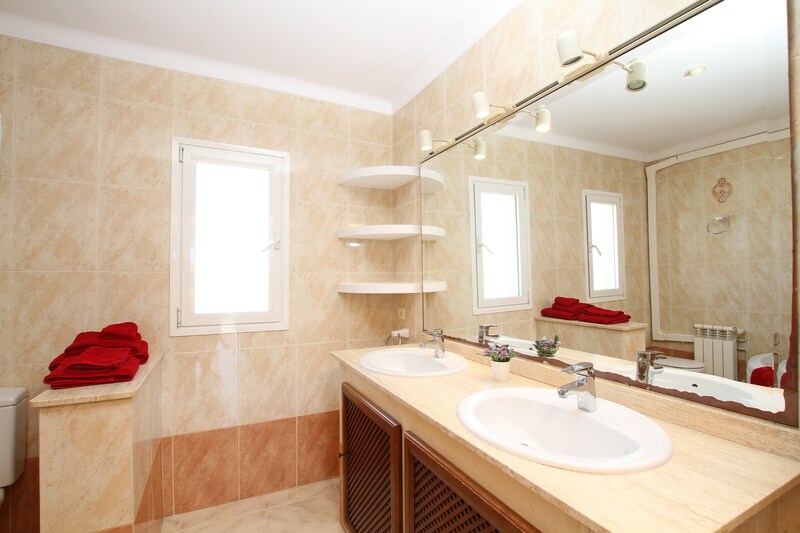 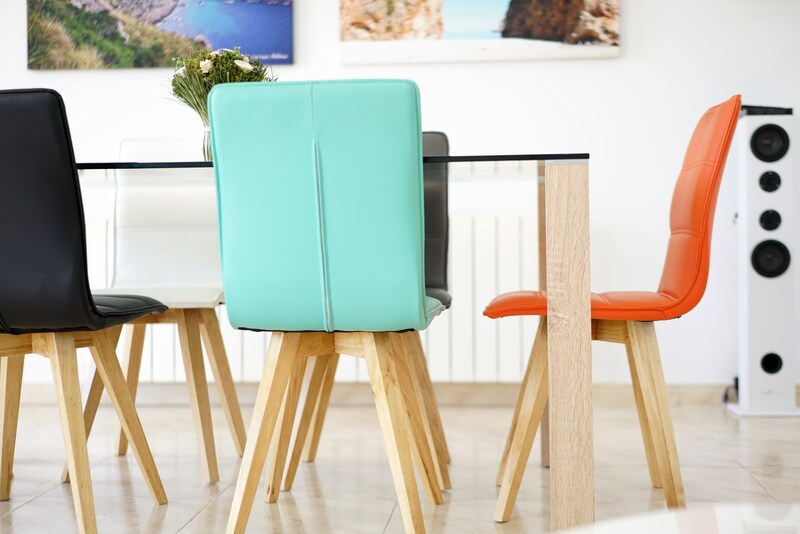 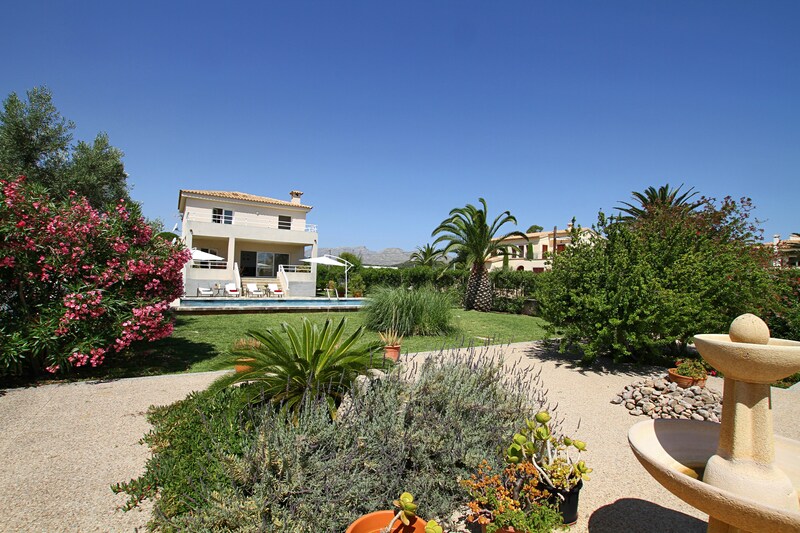 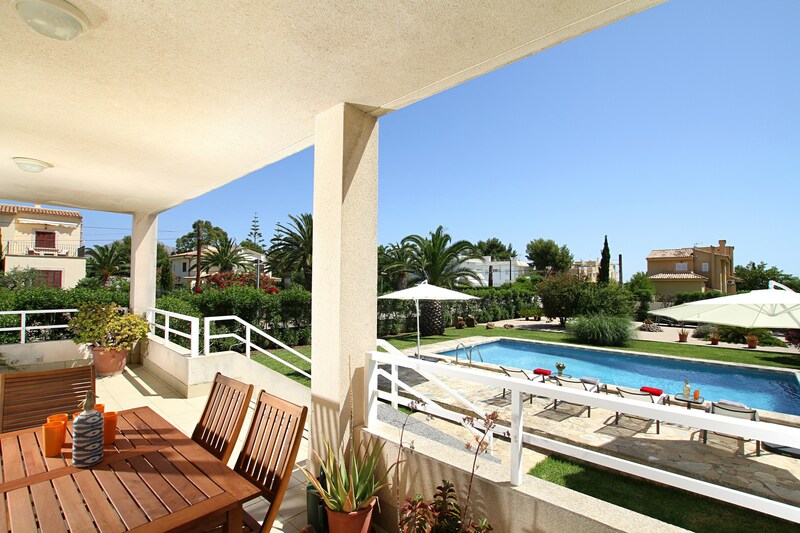 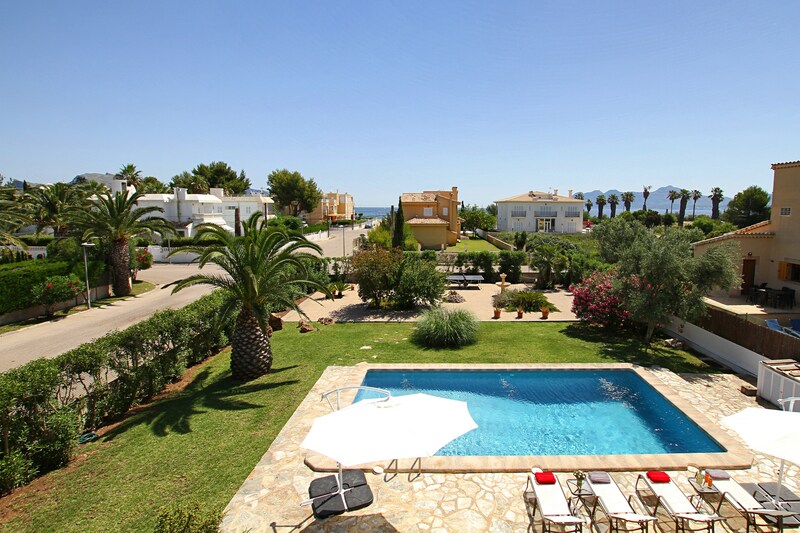 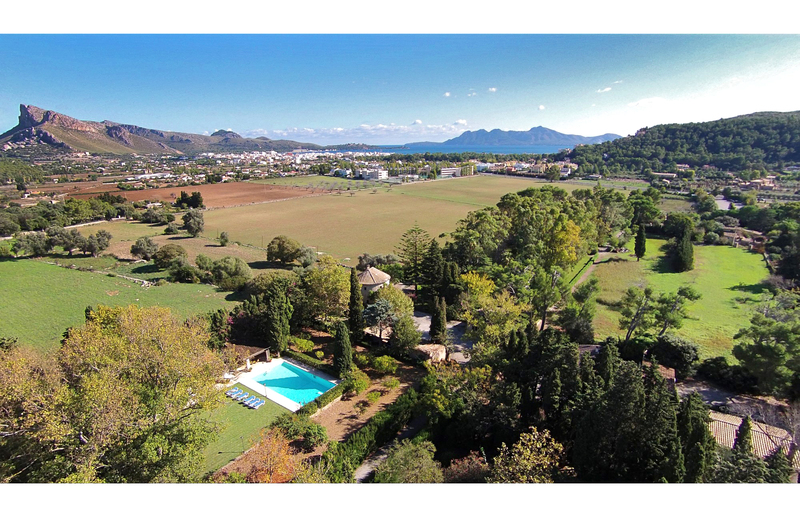 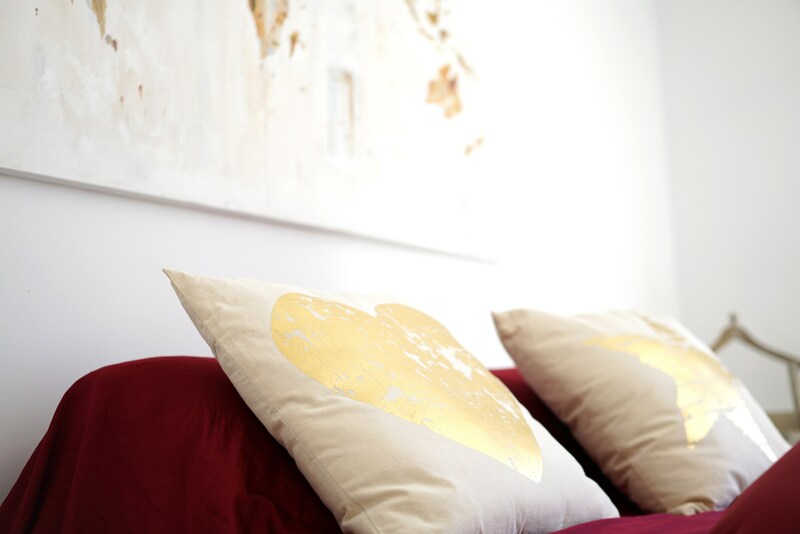 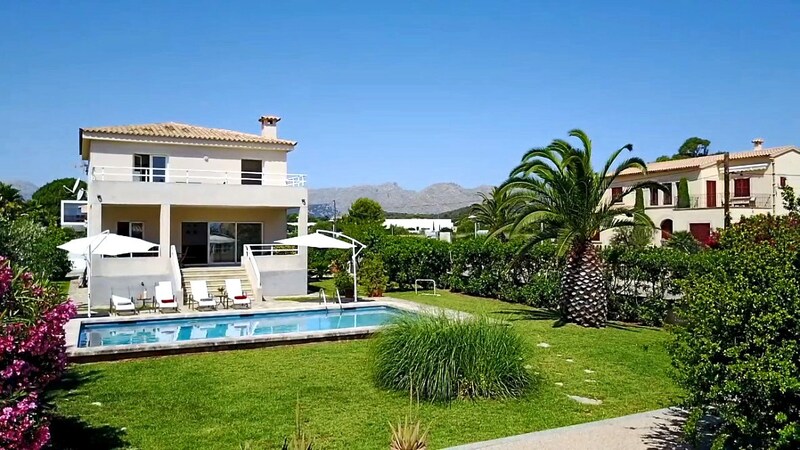 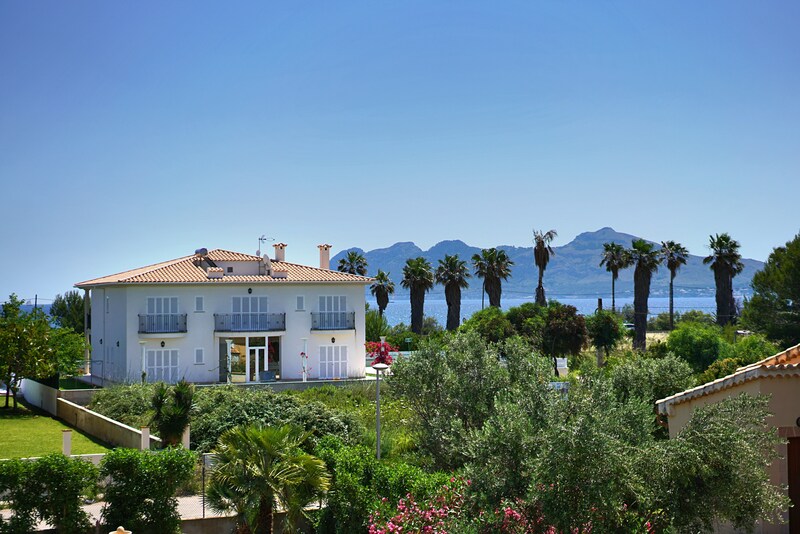 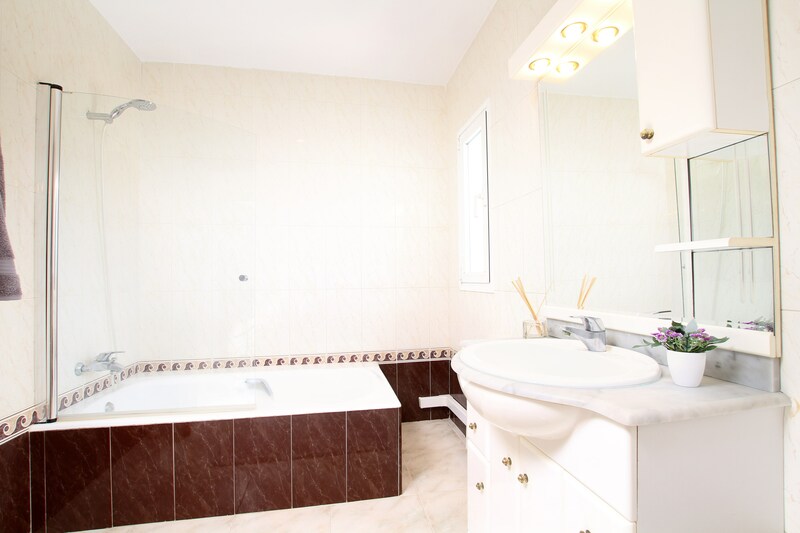 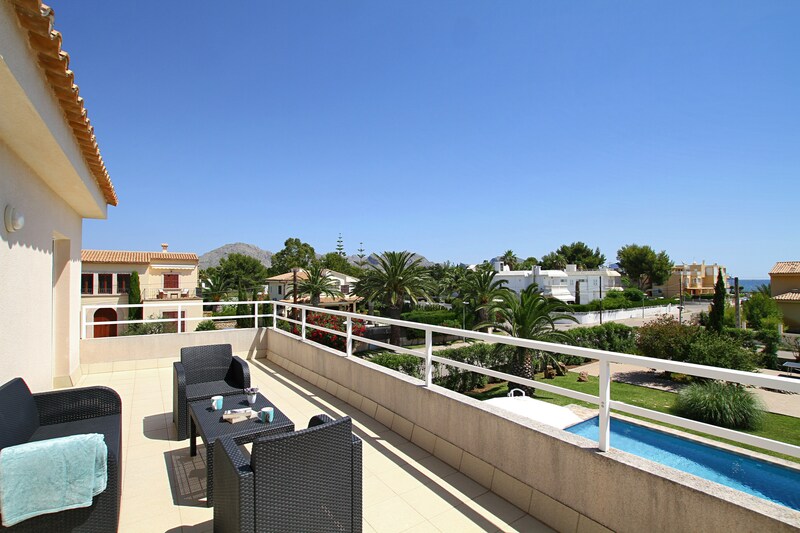 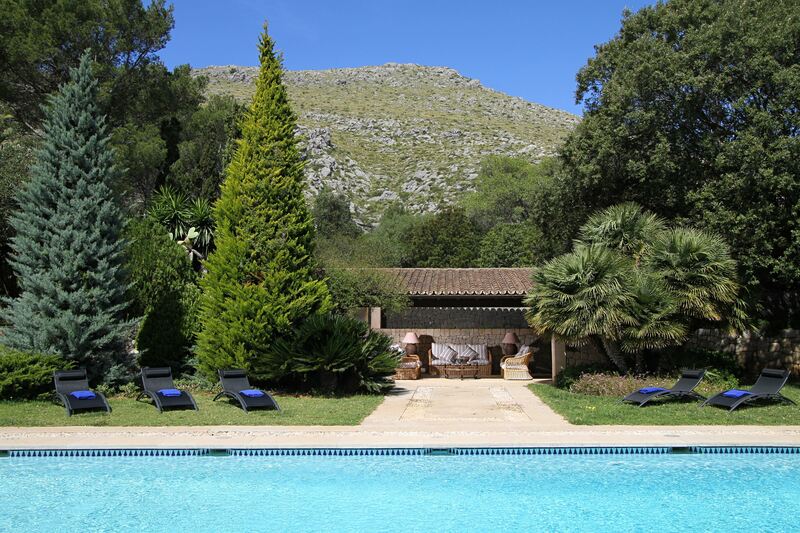 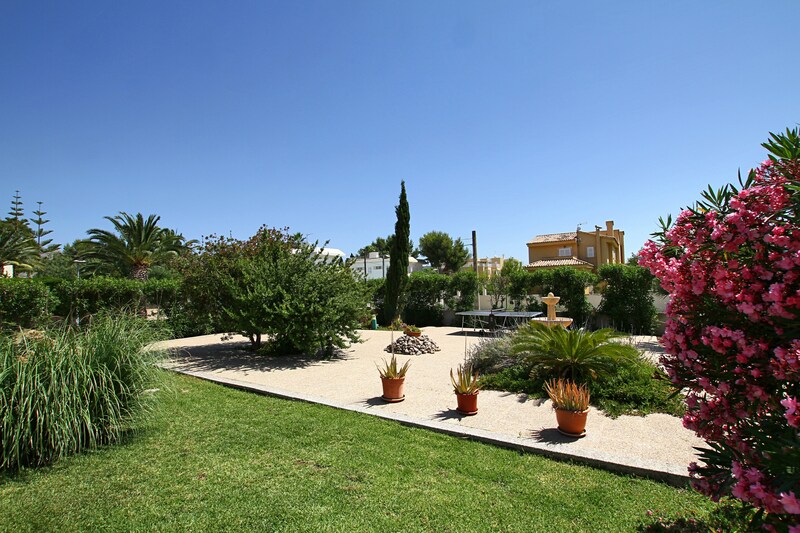 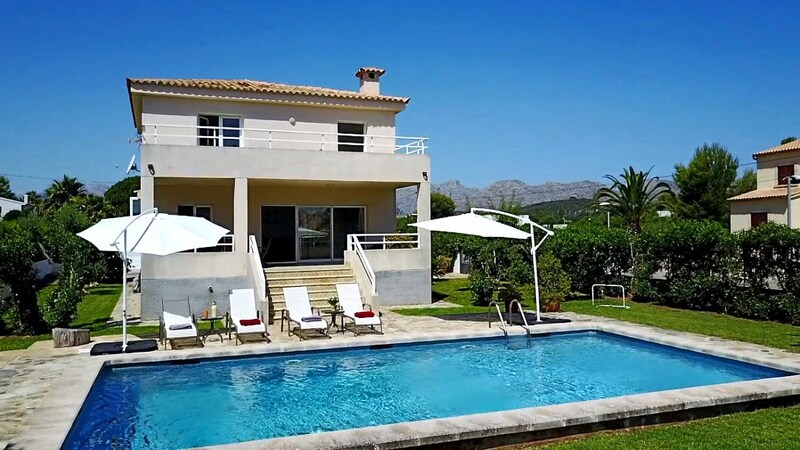 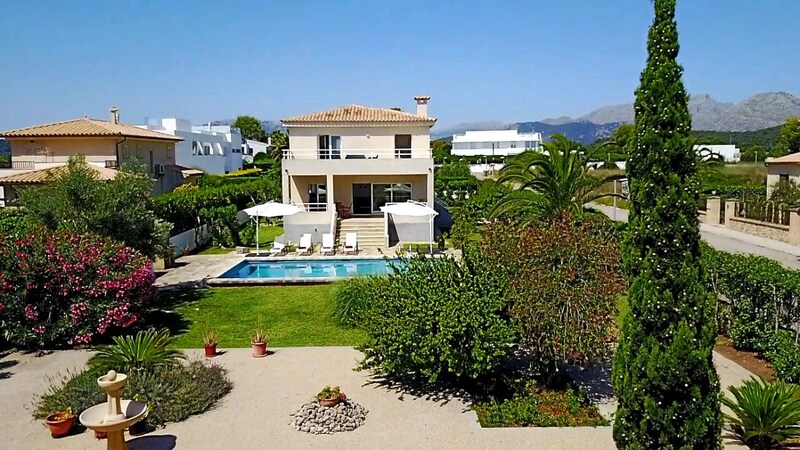 The villa is located in a tranquil residential area just a couple of hundred metres from the Mediterranean, and a short walk will take you two the sandy beaches of Puerto Pollensa, where you`ll also finds a good choice of local shops and restaurants, as well as a few favourites from home.